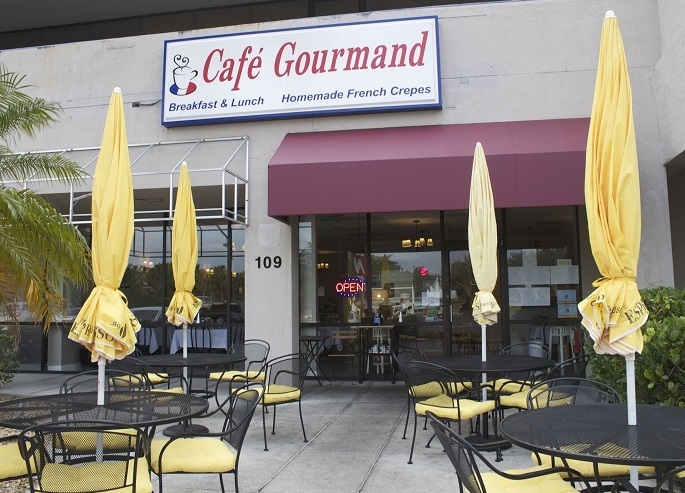 Thank you for your interest in Cafe Gourmand. Please fill out the form below and a member of our team will be in touch with you as soon as possible. If you need immediate assistance, please call 239-260-7109. You can book a table online but your reservation must be validated by a member of our staff. Address: 9853 Tamiami Trail North, Naples, FL 34108. CAFE GOURMAND, Breakfast, Lunch and Dinner. Address: 9853 Tamiami Trail North, Naples 34108 FL.